When you need to move heavy loads, you want equipment that offers the flexibility of a CrossFitter with the power of a power-lifting beast. Lifting heavy loads is no small feat, and understanding which option will work best for your facility, plant, or warehouse will keep your lifts in good form without sacrificing strength. You want to move heavy loads safely and effectively while also keeping your solution economical and efficient. 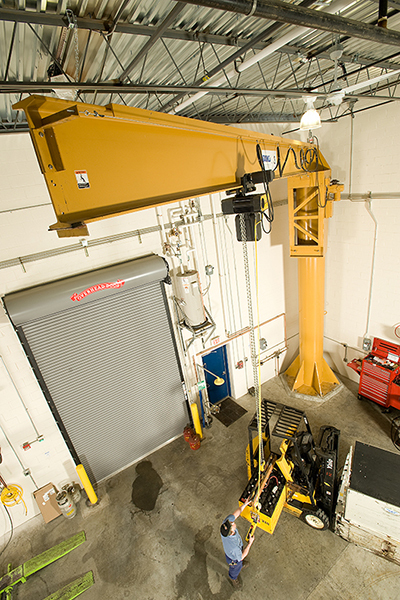 Consider the Jib Crane, and effective tool in your warehouse arsenal that will hold its own and can interface with a wide variety of workstations and functions. Foundationless Jib cranes offer versatility and economic savings, as they are bolted directly to an existing concrete floor and don’t require a concrete foundation. Using the existing floor means that you don’t need to install a costly special foundation, plus you can install and use the system sooner because you don’t need to wait for concrete to cure. 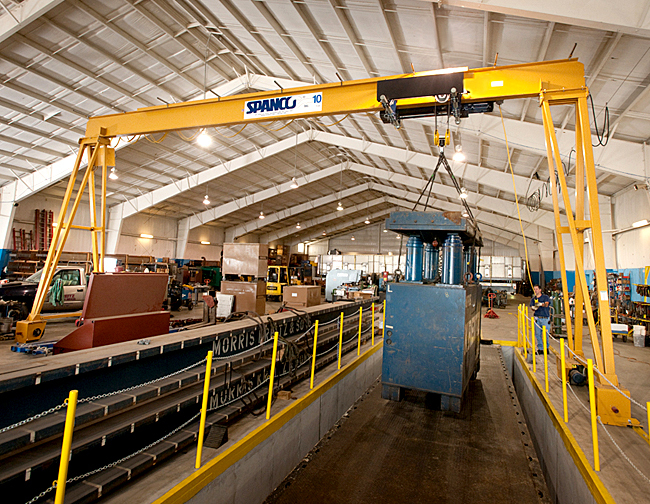 Existing floor use also makes sense for smaller capacity and shorter span jib cranes. With that said, there are multiple concrete considerations before you install a foundationless jib crane. The key, is your installation.